Does your vehicle need service, but you don’t want to spend a lot of money? At the Lou Sobh Honda service department, we offer a variety of service coupons to use for your next oil change, brake service, and so much more, so you can rest easy knowing you’re getting a great deal on your next service appointment. 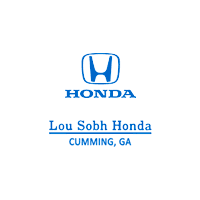 Browse our current Honda service coupons, then visit Lou Sobh Honda near Alpharetta, so we can make sure your car remains in the best possible condition. Get Your Car Ready for the Road! Includes Full Synthetic Oil, up to 5 qts., Multi. Pt. Inspection, Alignment Check & External Wash. Additional charges may apply. If you have any questions about our available services or concerns about issues you’re experiencing with your vehicle, contact us today! Be sure to browse our current service deals before scheduling your service appointment!